This Award for designed specifically for the Squamish First Nation. Every year Squamish’s partners are invited to participate in a Golf Tournament. 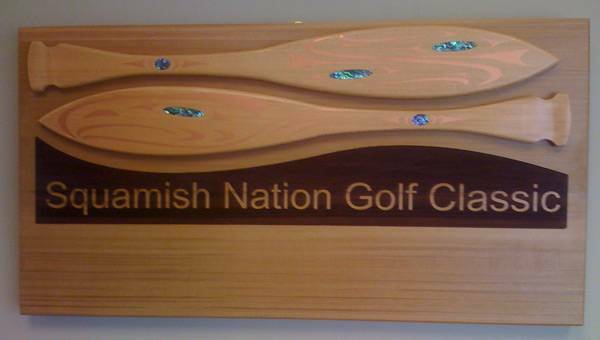 The trophy is of two paddles in Coast Salish design and representative of the partnerships we commit to and values associated with working together as one.